Released as Mortyr III in Eastern Europe. File names and formats vary based on the game language. 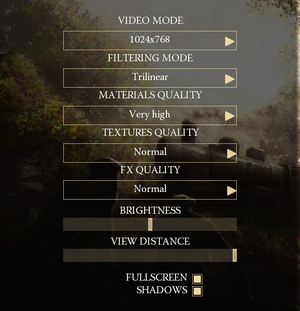 Open VideoSettings.scr with a text editor. 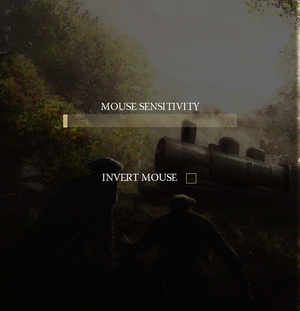 Modifying in-game video settings after this change will cancel it. 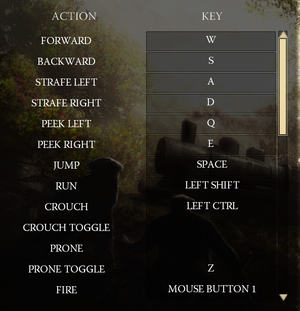 Open AdditionalOptions.scr with a text editor. Add ShowDialogs(0) at the end of the file. 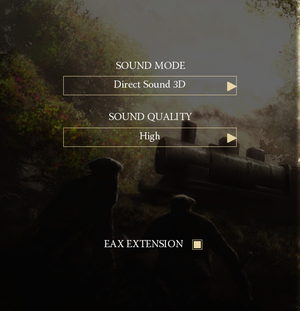 Modifying in-game video or audio settings after this change will cancel it. 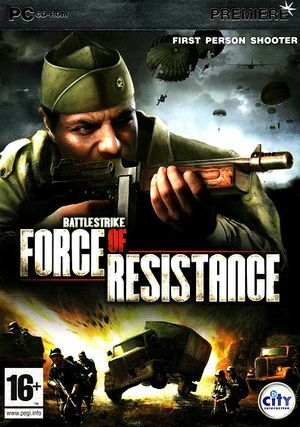 8 Despite official system requirements, the game uses DirectX 8. ↑ 1.0 1.1 1.2 1.3 1.4 When running this game without Administrator elevation, activity in %PROGRAMFILES%, %PROGRAMFILES(X86)%, and %WINDIR% might be redirected to %LOCALAPPDATA%\VirtualStore\ (more details).